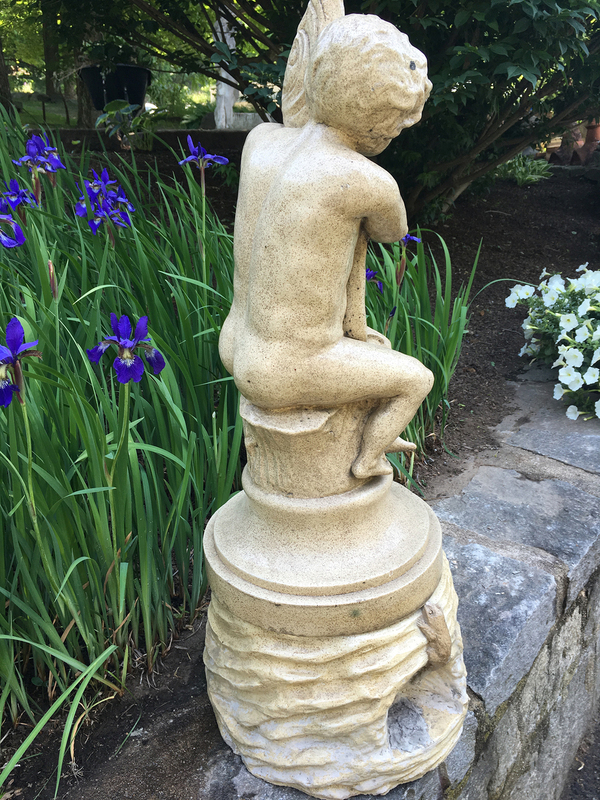 This unusual and lovely fountain in two parts features a frog-decorated rockwood base surmounted with a seated child grasping a fish. It is easy to plumb and place in a small basin for your city garden or terrace. Alternatively, it doubles as a statue and would make a charming focal point in a small herb or rose garden. 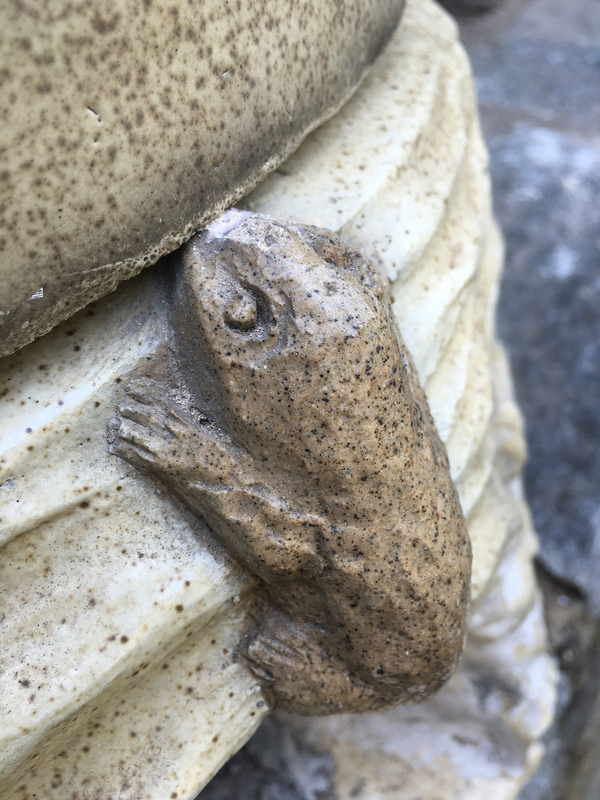 In overall excellent condition, there are a few tiny chips to the base of the fountain and a small chip on the mouth of the fish. Surface commensurate with age. Fireclay is very hardy in cold weather and can be left outside year-round. Unsigned, but reliably attributed to the Leeds Fireclay Company (LEFCO).